Presenting the customers a completely tested and quality assured range of Countersunk Head Phillips Machine Screws, we are eminent Manufacturer, Exporter and Supplier of the same. 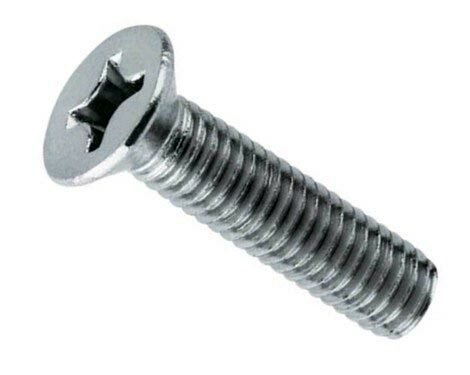 We have excellent infrastructure well-equipped with the latest machines and technology, this in turn helps in bringing forth the perfectly designed and engineer precision Countersunk Head Phillips Machine Screws. Metric Countsunk Phillips drive Machine Screws are made to DIN965 and available in 304 and 316 Grade. Imperial sizes of Countersunk Phillips Drive Machine Screws are also available in UNC thread pattern and in 304 and 316 grades.